"The great purpose of landscape art is to make us at home in our own country" was the nationalist maxim motivating the Group of Seven's artistic project. The empty landscape paintings of the Group played a significant role in the nationalization of nature in Canada, particularly in the development of ideas about northernness, wilderness, and identity. 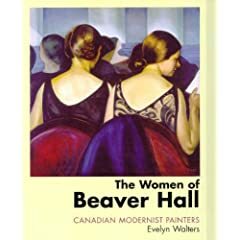 In this book, John O'Brian and Peter White pick up where the Group of Seven left off. They demonstrate that since the 1960s a growing body of both art and critical writing has looked "beyond wilderness" to re-imagine landscape in a world of vastly altered political, technological, and environmental circumstances. By emphasizing social relationships, changing identity politics, and issues of colonial power and dispossession contemporary artists have produced landscape art that explores what was absent in the work of their predecessors. 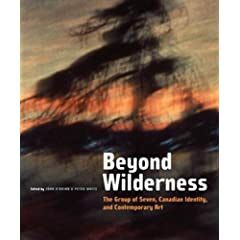 Beyond Wilderness expands the public understanding of Canadian landscape representation, tracing debates about the place of landscape in Canadian art and the national imagination through the twentieth century to the present. 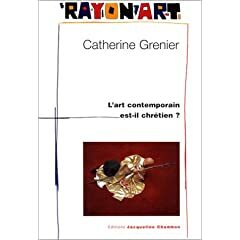 Critical writings from both contemporary and historically significant curators, historians, feminists, media theorists, and cultural critics and exactingly reproduced artworks by contemporary and historical artists are brought together in productive dialogue. Beyond Wilderness explains why landscape art in Canada had to be reinvented, and what forms the reinvention took. Contributors include Benedict Anderson (Cornell), Grant Arnold (Vancouver Art Gallery). Rebecca Belmore, Jody Berland (York), Eleanor Bond (Concordia), Jonathan Bordo (Trent), Douglas Cole, Marlene Creates, Marcia Crosby (Malaspina), Greg Curnoe, Ann Davis (Nickle Arts Museum), Leslie Dawn (Lethbridge), Shawna Dempsey, Christos Dikeakos, Peter Doig, Rosemary Donegan (OCAD), Stan Douglas, Paterson Ewen, Robert Fones, Northrop Frye, Robert Fulford, General Idea, Rodney Graham, Reesa Greenberg, Gu Xiong (British Columbia), Cole Harris (British Columbia), Richard William Hill (Middlesex), Robert Houle, Andrew Hunter (Waterloo), Lynda Jessup (Queen's), Zacharias Kunuk (Igloolik Isuma Productions), Johanne Lamoureux (Montréal), Robert Linsley (Waterloo), Barry Lord (Lord Cultural Resources), Marshall McLuhan, Mike MacDonald, Liz Magor (ECIAD), Lorri Millan, Gerta Moray (Guelph), Roald Nasgaard (Florida State), N.E. Thing Company, Carol Payne (Carleton), Edward Poitras, Dennis Reid (Art Gallery of Ontario), Michel Saulnier, Nancy Shaw (Simon Fraser), Johanne Sloan (Concordia), Michael Snow, Robert Stacey, David Thauberger, Loretta Todd, Esther Trépanier (Québec), Dot Tuer (OCAD), Christopher Varley, Jeff Wall, Paul H. Walton (McMaster), Mel Watkins (Toronto), Scott Watson (British Columbia), Anne Whitelaw (Alberta), Joyce Wieland, Jin-me Yoon (Simon Fraser), Lawrence Paul Yuxweluptun, and Joyce Zemans (York).